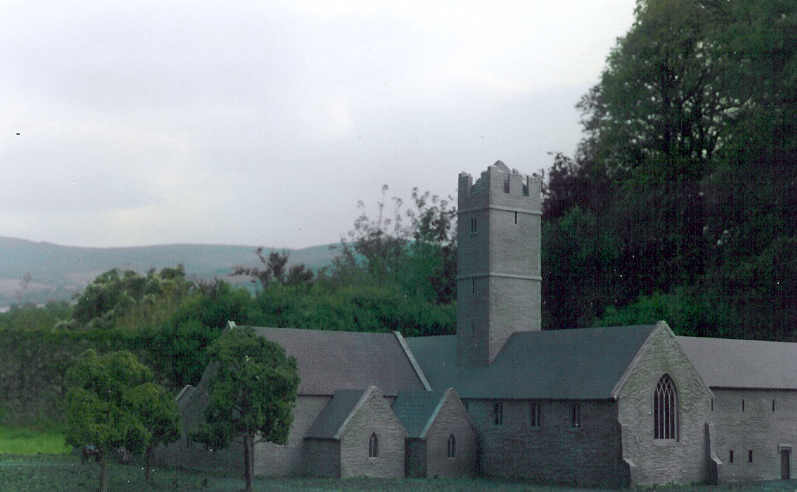 Reconstruction of a 13th century Irish Franciscan Friary. The tower measures approx. 11" tall. Built for the Adare Heritage Center, Ireland. 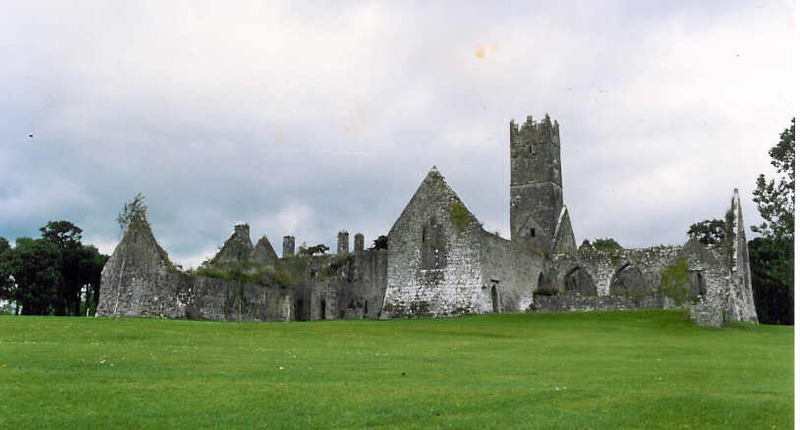 The ruins of the original monastic settlement in Adare. 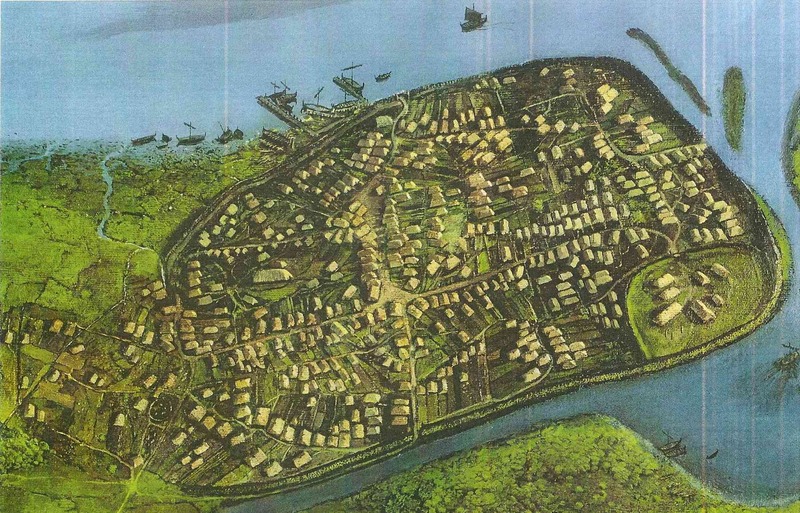 (left) A reconstruction of Viking Dublin circa 1000 AD. The buildings are approximately 1/4" tall. Scale 1/600. 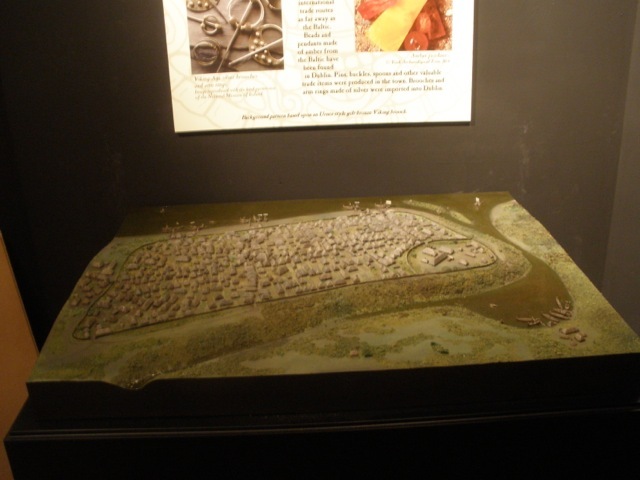 Overall size 28"x40"
(left) Viking longships lie at anchor in the river below the royal enclosure. 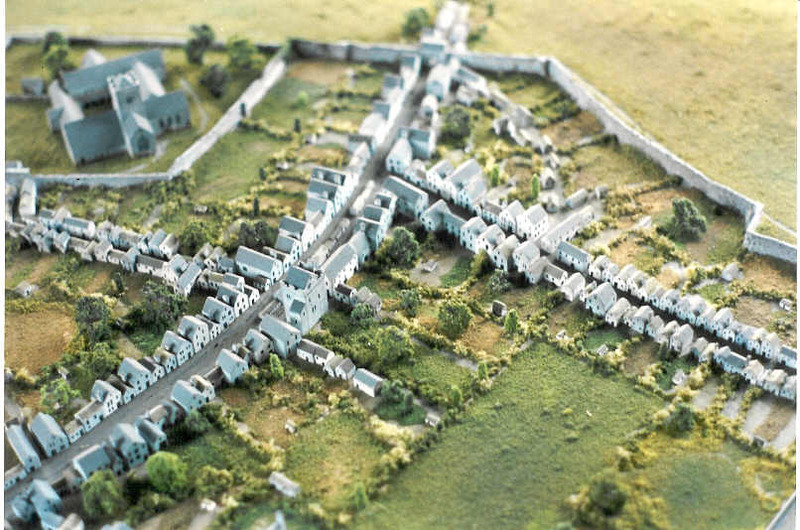 A reconstruction of an early Norman wooden 'motte and bailey' fortress. These were built all over England in the years following the Norman invasion in 1066 to solidify the Norman hold on the country. As resistance lessened, they were gradually replaced with more permanent stone structures. Built for the BBC. 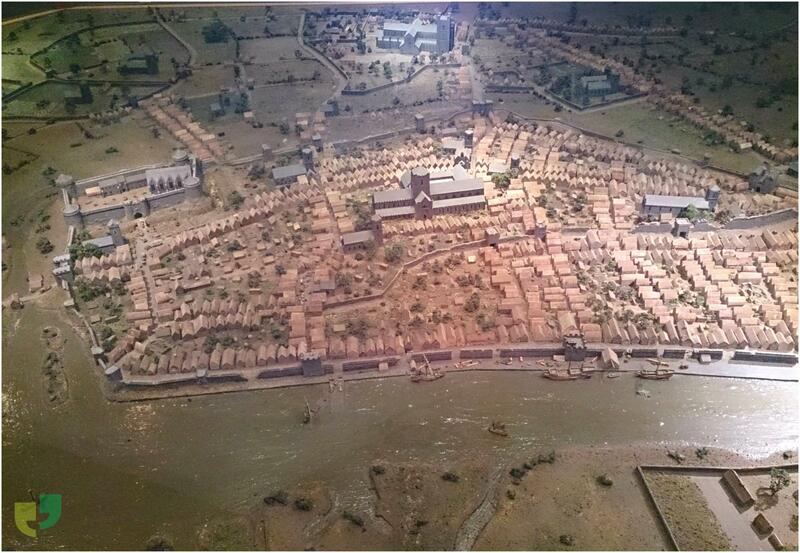 (above) A reconstruction of late Medieval Dublin circa 1530. This model is over 14 feet square and is equipped with a sophisticated audio-visual system that illuminates the important structures and provides a commentary in several languages. Built for 'Dublinia' the museum of Viking and Medieval Dublin. (left) a close up of the streets of the city. The buildings are approx. 1/2" tall. 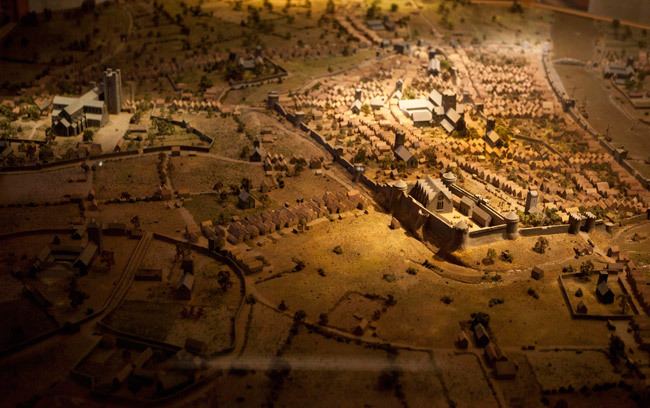 (below) Clip of Medieval Dublin model.